Ladydowns Christmas Trees is a small family business, growing and retailing Christmas trees. 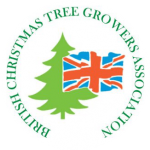 Based near Penzance in Cornwall, we grow high quality Christmas trees and primarily serve customers in the West Penwith area including the Isles of Scilly. We sell about five different varieties and a visit to our retail site at Polgoon Vineyard & Orchard near Heamoor, Penzance will offer you a great choice of freshly cut trees displayed every day in December.